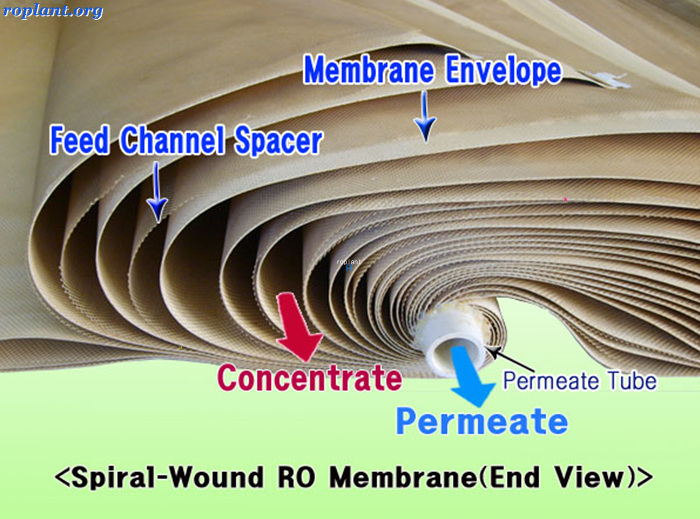 ▶ Membrane is a thin subject that affects the transfer rate of substances without phase boundaries. It even enables the dissolution of solids or gases in the liquid. ▶ This is a more advanced level of filtration when compared to the former methods. • MF membranes have pole that we can only see through microscopes. • Mainly over 0.01㎛ of particles are the subjects of segregation. Segregation capacity is shown as various pole sizes. Since big poles allow the smaller sized substance to pass, density polarization does not appear during the process. • Colloid, bacteria, seaweeds are the major subjects. • UF mainly segregates high/low density particles and cannot be seen even with the help of microscopes. • Generally it is designed in asymmetric structure with selective function of activated surface and porous supporting classes. • Bacteria, colloid, protein, pr, and high density organic matters with 5,000~30 of molecules are removed. (the unit of segregation capacity is indicated as MWCO, not ㎛). • NF blocks some of the salts and has 200~500 molecules about organic matters. • The theory of segregation mainly depends on spread of liquids on ROs. Divalents or simple molecular substances are often the objects. • Economically inefficient due to the high manipulation pressure, but expected to be used in electrical treatments to removing ions in vaporing methods. • RO has the capacity of segregating substances that are in the status of ions; it mainly uses asymmetric membranes which adopts the fundamentals of dissemination of fluids. • Pole sizes in membrane RO is known as Å; according to another theory it is said that there's no poles at all, however. • RO can even segregate ionized substances; thus used for distillation of sea water, cleaning waste fulid, dealing with wastewater from plating, etc. • Mesh spaces are made from Polypropylene; it promoted the transmisiion of substances and decreases density polarization. • Spiral-wound module is the most widely used system because it's the most compact and cheapest. • It can adapt to various environments and proceses as it does not have certain type of settled forms. 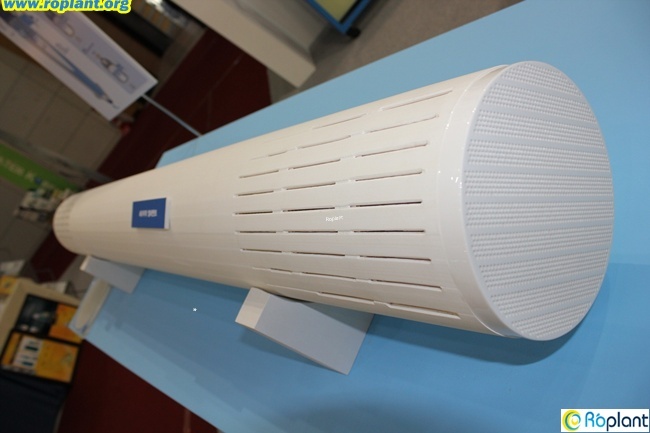 • In actual processes, 2~6 of Spiral-wound modules are connected to pressure vessels in series. 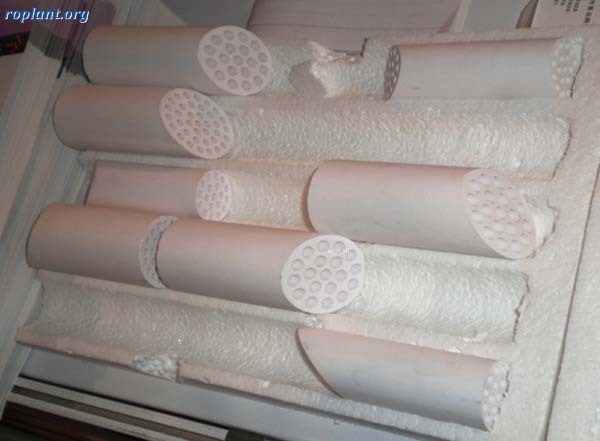 • Hollow -Fiber Module is made up of thousands of fiber strings with spaces in them in pressure vessels. about 0.1∼1 μm. 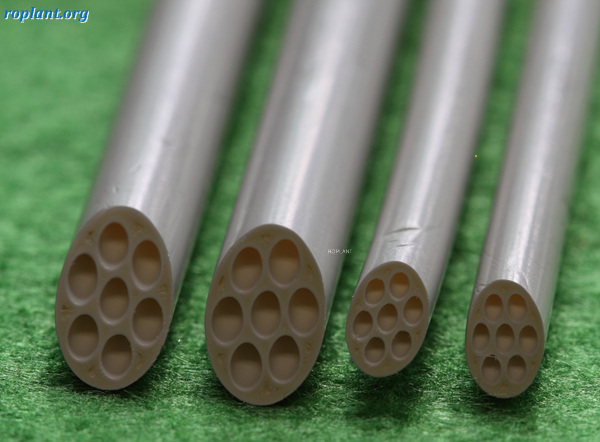 Near to the surface, however, exists a relatively thick (about 20∼30μm) porosity level. • High density with widest surface area by unit volume. • Inner pressure method enables high movement of flux; but it has high rate of pressure loss and tend to block the path. • It is composed of various membrane elements that look like pipes withing the internal pressure instrument. • Mostly it is driven with inner pressure and cleansed with sponge balls. • The density of membranes is low; however, sections in the membranes are big enough to apply to liquids with big sized molecules. • Plate & Frame Type Modules are attached to the supporting plates and modulized by grouping small spaces. other techniques also used in the segregation processes. • Basic feature of membrane filtrations is capable segregation of solid/liquid, liquid/liquid matters or gas without changing the phases or adding chemicals. • Oftentimes these segregations require complex treatments rather than a single operation. • It is about dividing solutes or corpuscles according to their molecular sizes. • membrane MF : Mf checks the demarcation function with a bacterium filtration by comparing the indication germs or particle filtration. • segregation means to divide two other liquids or substances getting mixed between membranes. • Membrane UF and MF have big surface area that are leachy; they simultaneously perform the segregation and absorption of membranes because they have relatively big poriferous inner surface.